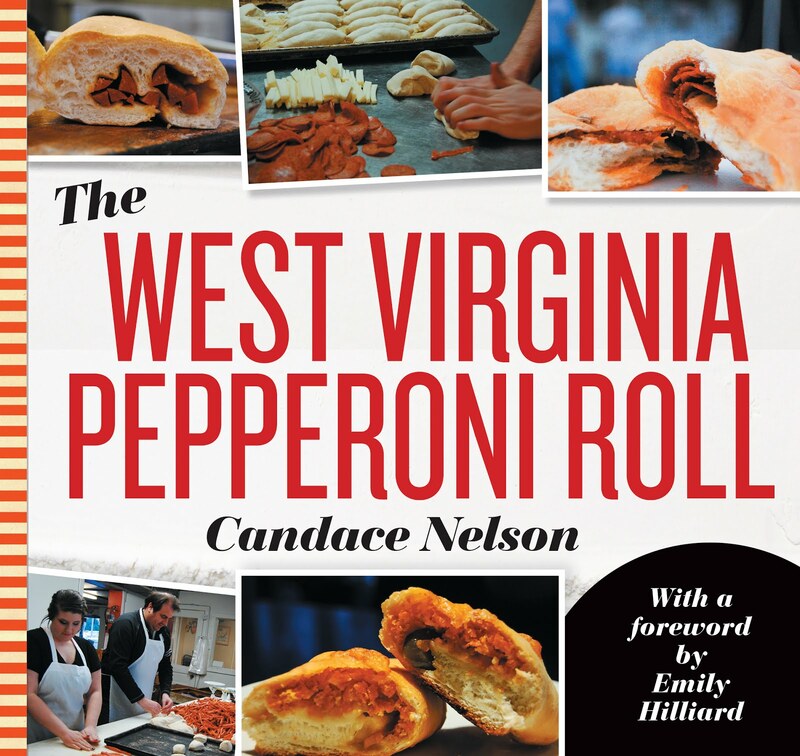 It's strange how trends work in Morgantown. We will go years without having a particular type of cuisine, then all of a sudden, we get inundated with it. 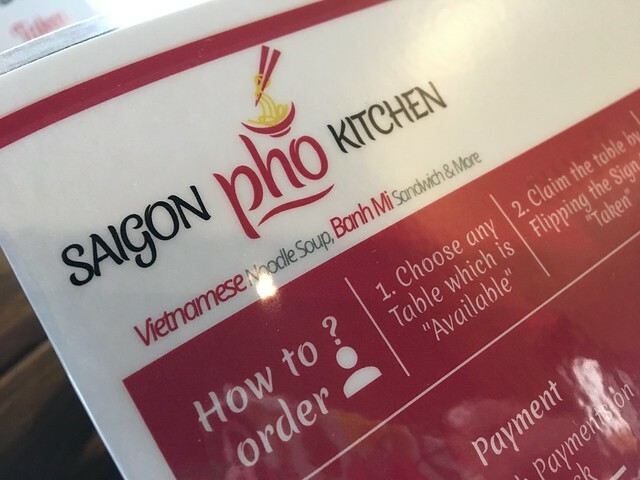 It happened with BBQ, and now, it's happening with pho. 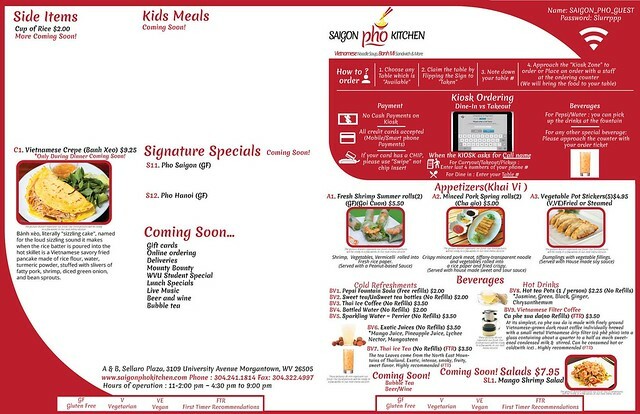 You see, six months ago, Morgantown had zero pho joints. And now, we have two. 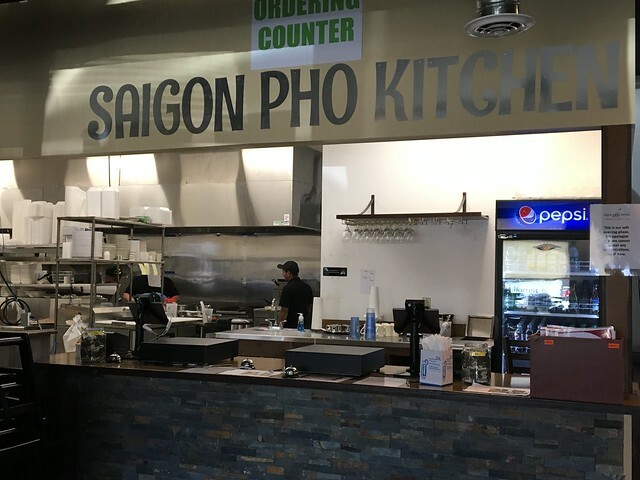 We talked recently about Pho Hung, and now, there's Saigon Pho Kitchen. 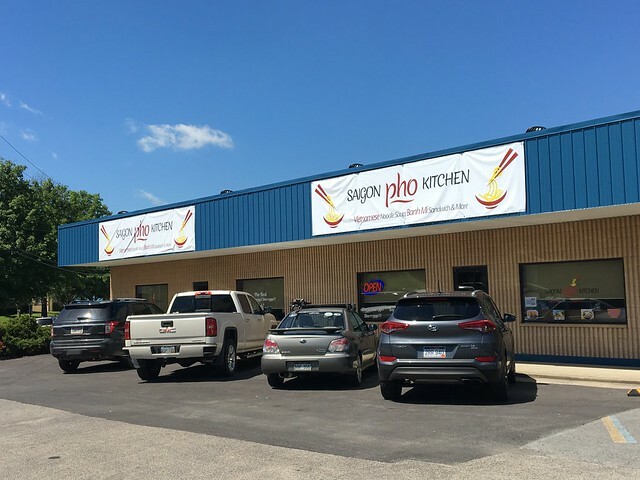 In all fairness, Saigon Pho Kitchen had been in the works for some time, and it comes to us from the same owners of Chaang Thai. Raj's wife is of Vietnamese heritage, and her family worked to fine-tune the recipes. 1. 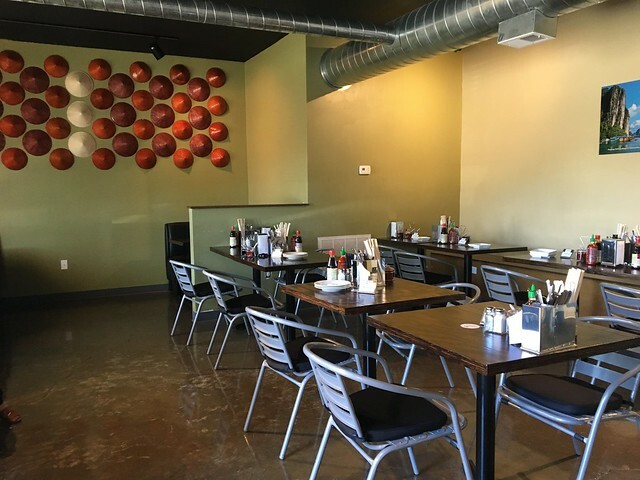 When you walk inside, choose a table you'd like first. Then, flip the number upside down. 2. Then, go to a kiosk near the doors to the right. Input your items. 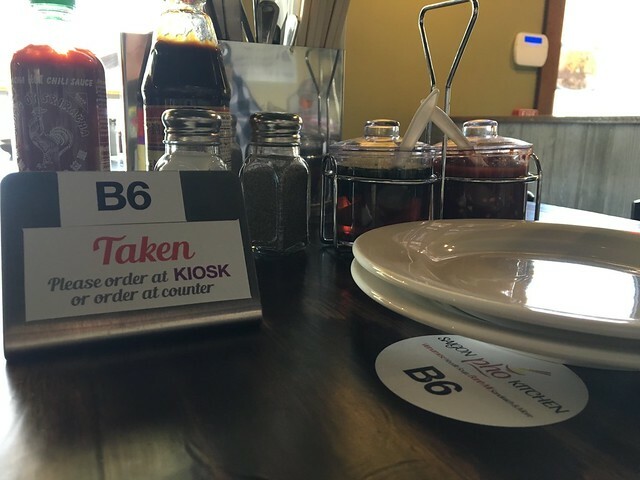 Input your table number in the "call number" space. 3. Get your fountain drink/water. 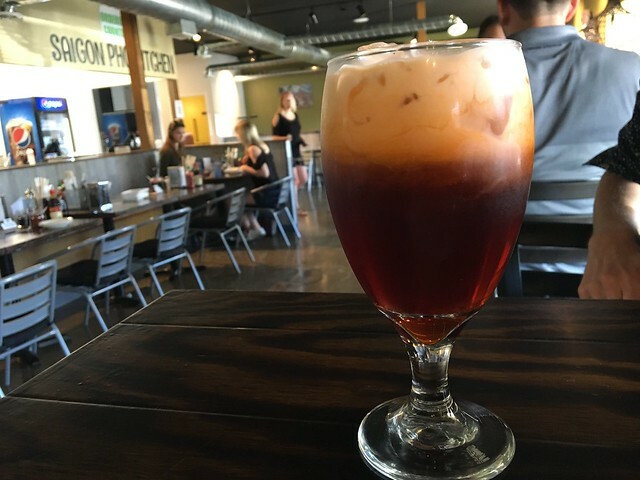 If you ordered a specialty beverage, you actually pick it up at that counter. 4. Otherwise, head back to your table and await your food. 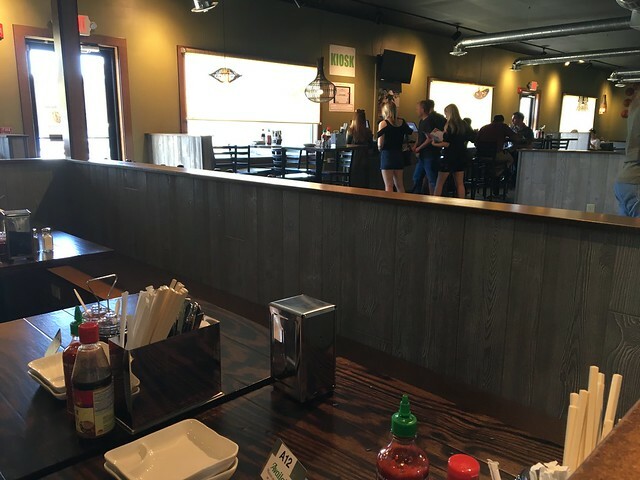 It might be a little confusing because as soon as you walk in, you'd expect to go directly to the counter. And, the kiosks are on the backside wall. And, there's not necessarily one central area to look for directions - instead, it's in various ways in a bunch of different places. 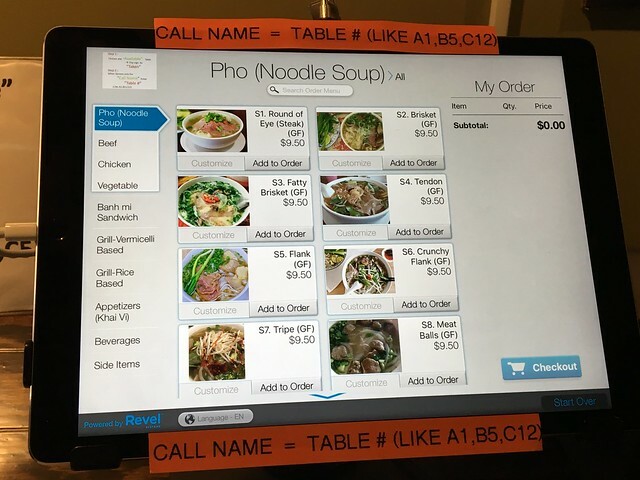 The kiosk system is very easy, though, and there's no miscommunication. The interior is kinda cool - a bit modern with some more inspired pieces. First off, Will got this coffee, which he seemed to like. I think. 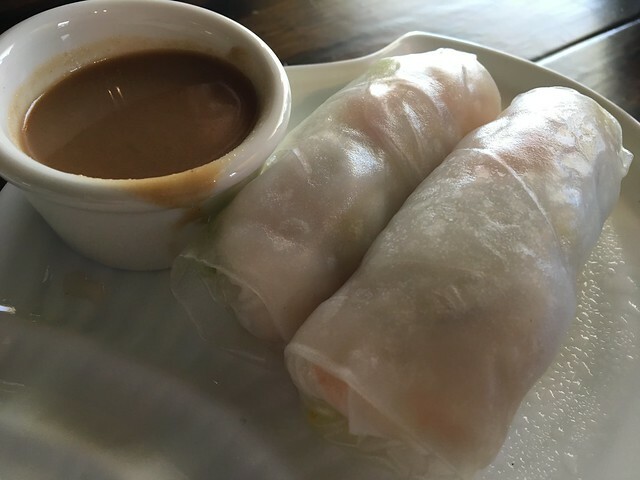 After a very short wait, our appetizers were brought out - summer rolls were good; always love that peanut butter sauce. 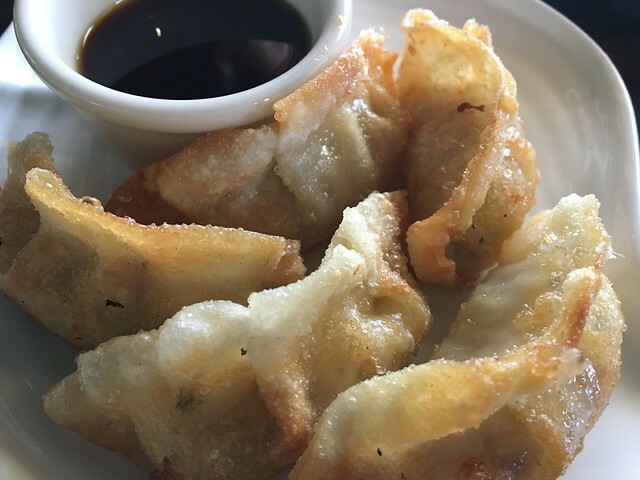 The potstickers were tasty, too. Crispy outside, soft inside. For my main meal, I actually opted against pho (next time! ), and went for the banh mi because this is the ONLY place in the area that has it! 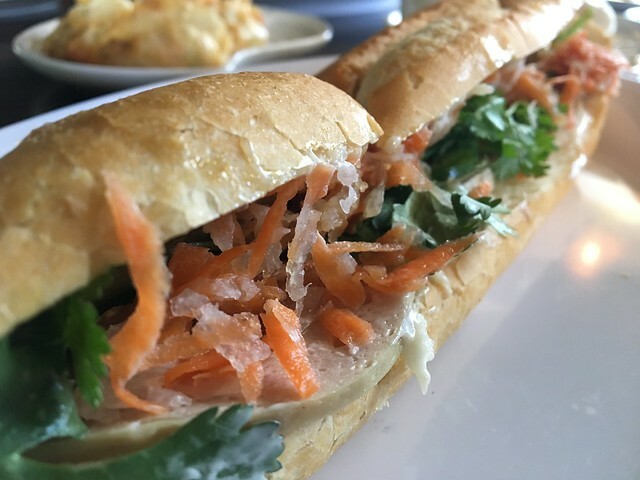 Banh Mi has particular ingredients that officially make up the sandwich: French baguette, jalapenos, meat (chicken, ham, meatballs are my fav), pickled carrots, cucumber, cilantro and French pate. So, it was pretty exciting that this sandwich was the real deal. There was some nice garlicky mayo that kept it all together, and the flavors were pretty great - deep flavors from the pate and meat, some acidity from the pickled veggies, fresh cilantro and cucumber. I wouldn't mind a few more veggies and de-stemming the cilantro - but overall, I thought this was a pretty good take on it. They're brand new, and Raj definitely wants to make sure people are receptive to the items. 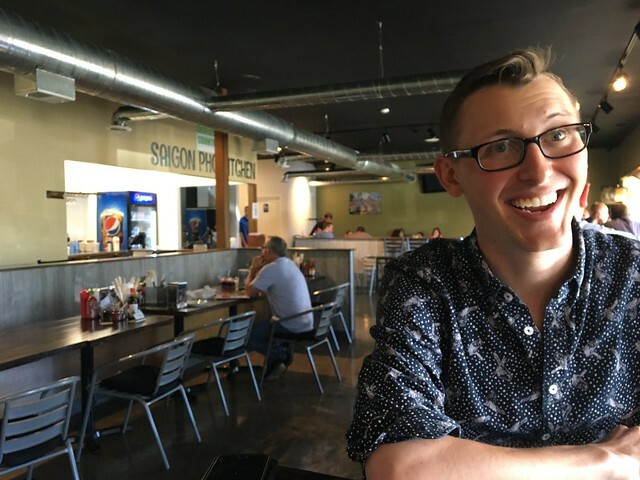 The banh mi is definitely a nice addition to town. 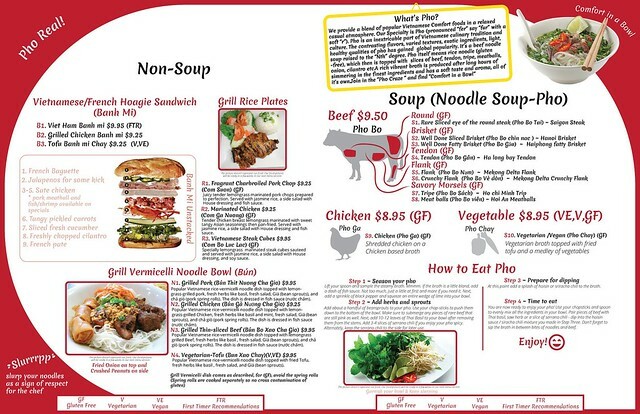 I will have to go back to try the pho.